The silence of the ABC in the latest coverage of the biggest Environmental Damages case in Australian history continues. We now learn via the Courier mail that taxpayer federal funds are being applied to weaken the case of the Queensland EPA v Linc Energy. The funding by the federal government of environmental vandals charged with wilful negligence is a new twist and the silence of the ABC on this huge story raises more questions about the state of the national broadcaster and its obedience to its Canberra masters. A PUSH by the Commonwealth to recoup cash covering the entitlements of former workers of two collapsed resource companies could leave Queenslanders stuck with a big bill. 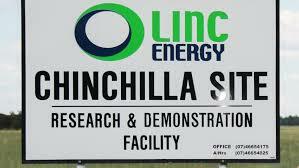 Environment Minister Steven Miles has lashed the Federal Government for its decision to help fund a court case that threatens to let Linc Energy off the hook for maintenance costs at its underground gasification site near Chinchilla. If successful, the appeal would overturn a Supreme Court direction that Linc obey an environmental protection order (EPO) to look after its decommissioned plant ahead of making payments to former workers or liquidators. Dr Miles said that would set a precedent allowing other collapsed resources companies to ditch their environmental responsibilities when they go bust, including Queensland Nickel whose operators are currently being forced under an EPO to stop toxic material from the Yabulu plant’s tailings dam spilling into the Great Barrier Reef Marine Park. The State Government has already spent millions as it attempts to investigate alleged contamination caused by Linc Energy’s operations and prosecute the company for that alleged damage. Dr Miles described the Commonwealth’s decision to help fund the appeal by Linc’s liquidators to get out of its environmental obligations as outrageous, especially given the impact it would have on other sites such as the nickel refinery. “The Commonwealth is using complex legal strategies to try to get their hands on funds that need to be spent keeping the site safe,” Dr Miles said. “There is millions of litres of contaminated water in these tailings dams near populated areas and adjacent to the Great Barrier Reef. “It is vitally important that the site remain safe. A Federal Employment Department spokesman confirmed its involvement in helping to fund the appeal but said it was to ensure workers were paid what they were owed. “The Department is taking this action to seek to restore the previously long-held industry practice that recoveries to employees for their unpaid employment entitlements were not eroded by environmental clean-up costs,” he said. “It has long been the case that the insolvent company’s employees benefit from a preferred priority of repayment from available assets, including for their outstanding superannuation via the Superannuation Guarantee Charge. “As it currently stands, the Linc decision would see the recovery to the states of environmental clean-up costs being paid ahead of entitlements owed to redundant workers.